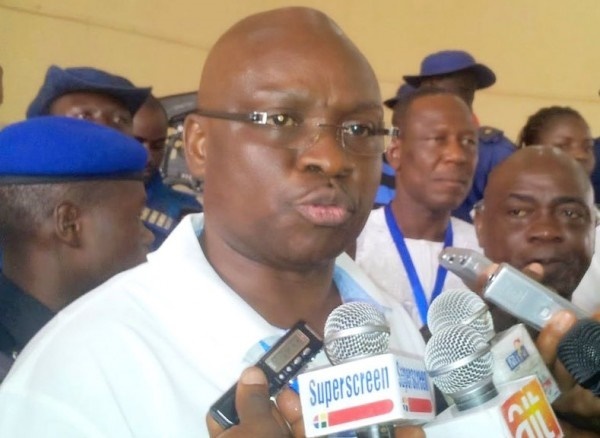 The Ekiti State Governor, Ayodele Fayose, has waded into the ongoing call for the scrapping of the Police Special Anti-Robbery Squad, SARS, but he has a different opinion. The power of social media has once again come to bear. Few days after Nigerians set the social media on fire by clamouring for an end to the activities of the Special Anti-Robbery Squad (SARS), the Inspector General of Police has been forced to react. Idris on Monday said the anti-robbery unit would be reformed. But this promises, did not stop the Ekiti State Governor, Ayo Fayose, from joining the fray. The governor in a tweet on Monday night said rather than scrapping the police unit, a reform would be a better alternative. “I won’t say #EndSARS. Rather I will say #ReformThePolice such that someone will not sit in Abuja and be in charge of resolving robbery issue in Abakaliki.” he said. The campaign, which started on Saturday with the hashtag #EndSARS, has seen many Nigerians raise allegations of extra-judicial killings, dispossession of property, and other forms of intimidation against SARS officials. The campaign which became one of the most discussed topics on social media drew the attention of various prominent Nigerians, celebrities and other concerned citizens.